It is the end of the year and many homeschool moms (and maybe some dads) are now winding down, creating portfolios, getting evaluations done, and writing up report cards. My son may only be in kindergarten but I am already seeing the endless report keeping in my future. 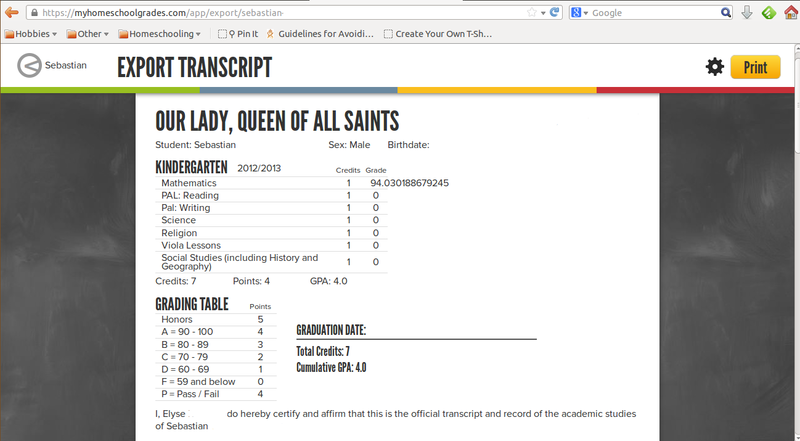 I was able to check out a great online website, My Home School Grades. Their price is so great- only $49.99 for a LIFETIME membership. Seriously. Forever. All your kids. All their years. 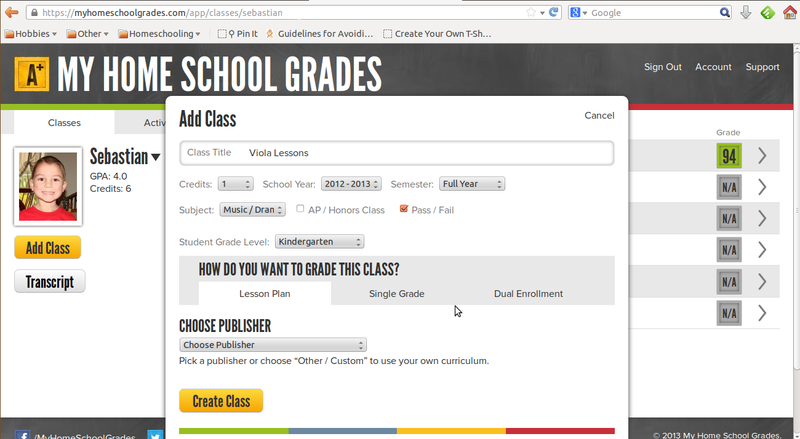 It is very easy to add students and set up classes. I was surprised at how user friendly the interface is! It took me less than five minutes to set up my son and his classes. They have many curriculum choices that have lessons pre-written for you, or you can write in your own lessons. You can also have your class Pass/Fail (which is great for kindergarten). 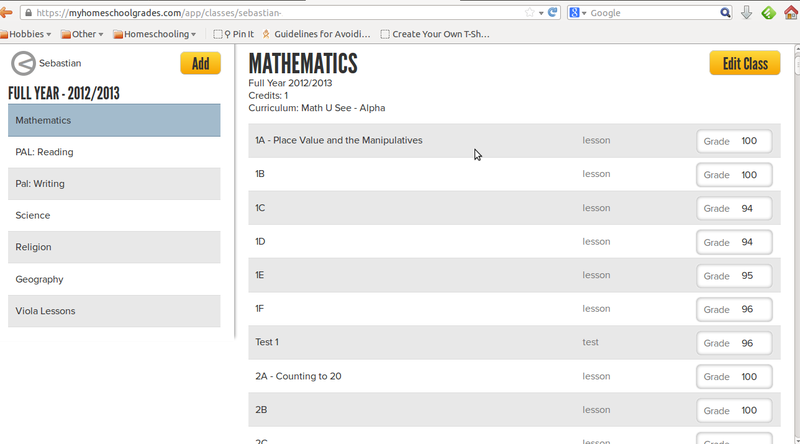 They had Math-U-See already in their database, so I was able to just input his worksheets. You can put in a fraction, a percentage, or a letter grade. I love that it accepts any of these forms of grades. 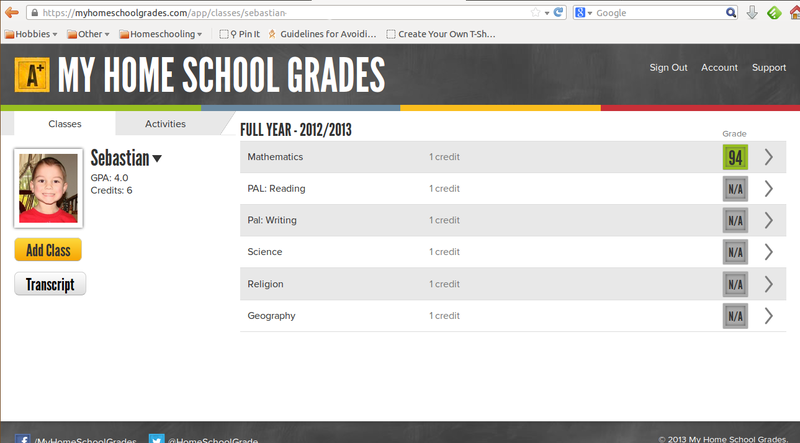 I love how it makes a snappy looking report card. I look forward to using this as an easy and quick way to consolidate grades. If you are interested, they have a free 14-day trial to check it out for yourself, and no credit card is required. At the end of two weeks you will have the choice to buy the lifetime membership or not. Also, Mosaic Reviews will be hosting a Facebook Party this Friday (May 24, 2013) at 9pm EDT. All you have to do is head over to the Mosaic Reviews page and hang out and have fun with all of us!